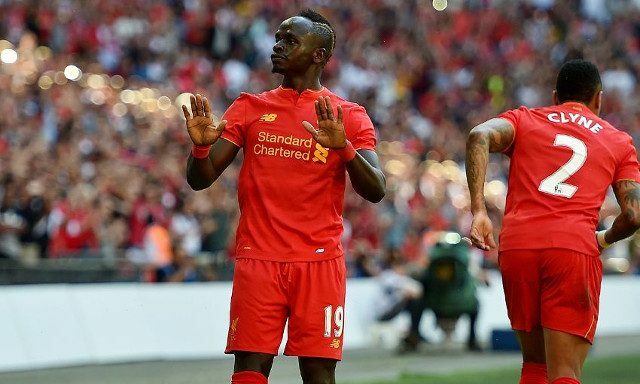 Jurgen Klopp also name-dropped Adam Lallana and Roberto Firmino when asked about Sadio Mane’s Player of the Season award, as voted by his Liverpool team-mates. The Englishman’s been a revelation in central midfield this campaign and we’ve badly missed him during his irritating absences through injury. Thankfully he should return against West Ham on Sunday, having been benched for the painful Southampton draw last weekend. Firmino’s largely been fit throughout and has been symbolic of our best performances with his all-action creative output in various areas of the front-three. Mane though undoubtedly deserved the award, bagging 13 goals, registering six assists and completely changing the dynamic of our attack when on the field. “For us, it’s a little bit strange because the season is not finished. It’s easy to celebrate Sadio – what a wonderful prize. [There were] really hard challenges with Adam [Lallana] and Roberto [Firmino], and probably a few more would have deserved this because they have played a really good season,” Klopp told the official website. “That’s good to see. But, of course, it’s not done. “The other teams play also. It’s not only us to play difficult football games, all of us have to do it. It’s all good so far. 70 points is a wonderful number. It’s not what we want to have at the end of the season, but at the moment we have it. We’re a little surprised Klopp didn’t mention Coutinho, but it’s abundantly clear he rates our no.10 very highly – having jokingly put a £400m price-tag on his head earlier today! All will be with the club next season. Let’s hope they’re competing in the Champions League.